Tickets for the all-you-can eat supper are $8 for adults and $4 for children ages 2 through 10. Take-outs will be available. Business showcase raffle also available. 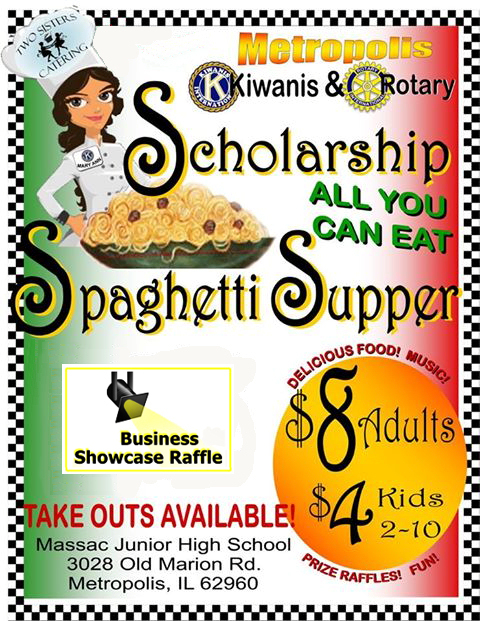 Tickets will can be purchased from Metropolis Kiwanis and Metropolis Rotary members. This entry was posted in All the Buzz - Bee Informed, Just BEEcause on February 22, 2017 by massacbeeswax.